Not minding the harsh economic situation in the country, the Federal Government of Nigeria is proposing to spend a whopping N2.38bn in 2017 on fueling and maintenance of the presidential jets. The amount when compared to the N1.99bn approved in the 2016 fiscal period for similar expenses represents an increase of N390m. Details of the proposed spending are contained in the 2017 budget which was submitted to a joint session of the National Assembly by President Muhammadu Buhari on December 14. According to the Presidency, the PAF contains 10 aircraft. These are: Boeing Business Jet (Boeing 737-800 or AirForce One), one Gulfstream 550, one Gulfstream V (Gulfstream 500), two Falcons 7X, one Hawker Sidley 4000, two AgustaWestland AW 139 helicopters and two AgustaWestland AW 101 helicopters. Each of the two Falcon 7X jets were purchased in 2010 by the Federal Government for $51.1m, while the Gulfstream 550 costs $53.3m, a former Minister of Information, the late Pro. Dora Akunyili, had said. 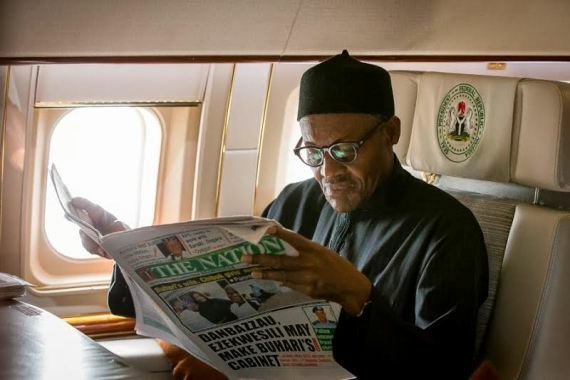 In the budget breakdown which was made available to our correspondent in Abuja, the presidency in the 2017 fiscal year is proposing to spend N900m out of the N2.38bn on fueling of the aircraft in the presidential fleet. The N900m when compared to the N478.6m allocated for the same purpose in 2016 represents an increase of N421.4m or 88 per cent. There is also a provision of N850m for maintenance of the aircraft. This amount is however N103.25m lower than the N953.15m allocated for aircraft maintenance in 2016. In the same vein, the sum of N90m would be spent in 2017 to purchase air navigational equipment. In the 2016 fiscal period, the sum of N262.4m was budgeted for similar purpose. The Federal Government is also proposing to spend N93.95m to purchase fire fighting equipment for the presidential air fleet as against N7.9m allocated for fire protection kits in 2016.